How and where do big-time media outlets, like Buzzfeed, Upworthy, The Dodo, Washington Post or Huffington Post, pick up adorable, heartwarming or bizarre stories? Have you ever read one of their articles or watched one of their featured videos and said to yourself, "We have a story JUST LIKE THAT!" I have had the fortune and the luck (because sometimes you just get lucky!) of getting noticed by a few of the mentioned media outlets, and it is a great wave to ride! Here are 4 simple pieces of advice I can share, along with recent examples! (1) Share and record your stories often! This first advice may sound obvious, but it's easy to forget that the daily occurrences we witness at our facilities are unique, exciting, shocking and entertaining to those on the outside: A senior cat whose owner died and ended up in a shelter; a dog so matted that he needed to be shaved; 100 mice rescued from a hoarder. Or moments that you might witness every week: a newly saved dog steps into loving arms for the first time; a scared blind cat finally meowed after 10 days, or when that dirty dog danced after he was relieved of 5 pounds of matted fur and finally getting a bath! Also, encourage staff and volunteers to send pictures or videos of everything and anything! They are your eyes and ears. Try implementing a daily "news" report from a lead staff person or volunteer to help make sure you don't miss any possible stories. There will always be like-minded organizations more popular than you. Don't envy them! Connect with them and work together when you can. Opportunities may come from the relationship, and hopefully it goes both ways! If you are the organization that others seek advice from, lend a hand when you can. A simple sharing of their post to your audience on social media might be a small gesture, yet for them it could double the audience reach on that post. Example: Two weeks ago, The Grey Muzzle Organization published a report they conducted that revealed a notable increase in senior dog adoptions in the U.S. Thanks to the report, NPR featured an article about senior dog care. The same week, Muttville Senior Dog Rescue received a call from a Washington Post reporter. WP was also going to publish a story on senior dog adoptions. Muttville knew they had The Grey Muzzle Organization to thank. As of today (3/7/2017), The Grey Muzzle Organization has reported on its Facebook page that the story has been reprinted by dozens of local media outlets. (3) Pitch your stories and videos to media outlets - as often as you can! If you really want to be featured by The Dodo, Buzzfeed, or Upworthy... guess what? YOU CAN! But do your research. Read articles about how to optimize your submissions. And submit stories often! It takes practice to really understand how it works and how to do it well. Each media outlet has their own guidelines, so your chances are better if you customize your submission to the media outlet's guidelines . 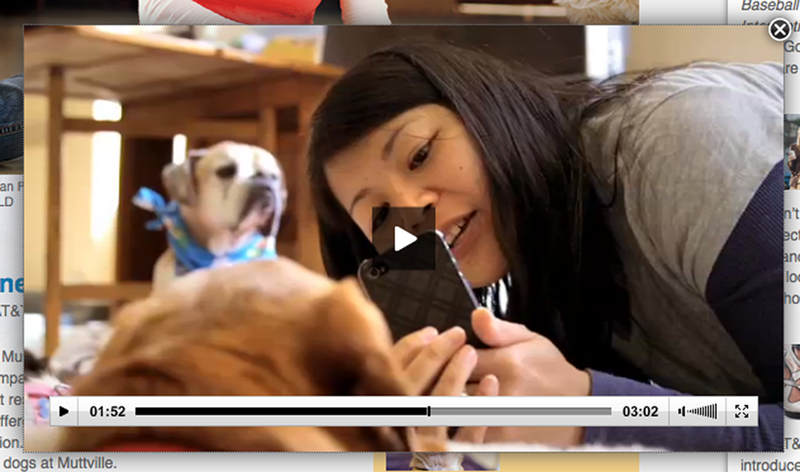 Example: A volunteer created a video about a Muttville dog she hospice-adopted (also known as fospice). She submitted it to Upworthy (who encourages the public to send in stories) and they responded! As a result, Upworthy posted it on 3 separate occasions between July and November 2016. To date, it has been viewed 2.5 million times and people shared it over 20,000 times! (4) Share your stories on your social media - you might get lucky and media will find YOU! Again, maybe this sounds obvious, but a reminder can never hurt! When you are ready to share it to your social media channels, don't be afraid to be controversial! Don't stretch the truth, but don't be shy when telling your story either! Lend from the guidelines you learned about pitching to big-time media outlets and practice on your own social media posts. There are many media outlets that are seeking out great stories, and they just might find your post. Example: This type of luck happened to San Francisco's Toni's Kitty Rescue just last week! A senior cat named Jaime urgently needed out of the shelter for his health and well-being, so TKR posted his photo and a short plea on TKR's Facebook page. TKR also partnered with other rescues with larger audiences and asked them to share the post. Jaime's story caught the attention of a website called Love Meow with over 2.6 million FB followers. The article received 7500+ Likes on Love Meow's FB page, and because of the wonderful write-up about Toni's Kitty Rescue included in the article , TKR also received an amazing response on its original post. Click here to read Love Meow's article. It's really not a secret. Stories need to be told in order for them to be seen and shared! So... what story are you going to share today?